Israel’s Declaration of Independence says: “Israel will ensure complete equality of social and political rights to all its inhabitants irrespective of religion, race or gender; it will guarantee freedom of religion, conscience, language, education and culture.” The NIF supports groups and projects working to fulfil this vision. From women’s and LGBT rights, to the relationship between synagogue and state, to protecting the rights of Jewish and non-Jewish minorities, NIF has founded, funded, trained or otherwise supported every significant human and civil rights organisation in Israel. 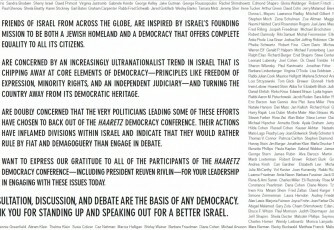 Supporters worldwide signed a statement – published as a full page ad in Haaretz - demonstrating the depth of support for an Israel that lives up to values of progressive democracy. 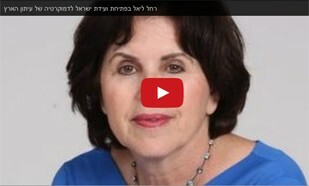 NIF Israel Director Rachel Liel made a powerful speech at the Haaretz Democracy Conference. Watch it here. 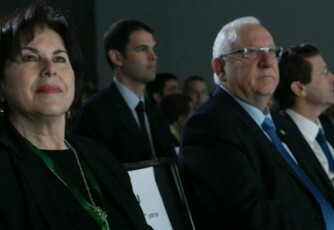 Leaders from across Israel's political spectrum, including President Rivlin, debated the most pressing issues surrounding Israel's Democracy at last week's Democracy Conference. Read more Democracy without Dialogue? A number of right wing politicians cancelled their participation this week in the Haaretz Conference on Democracy ostensibly because of NIF's participation. 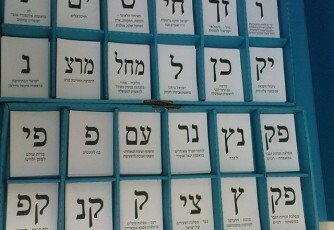 See the ad that Haaretz ran today in response.